The former world No.1 gives an update about his plans for the future in the French capital. 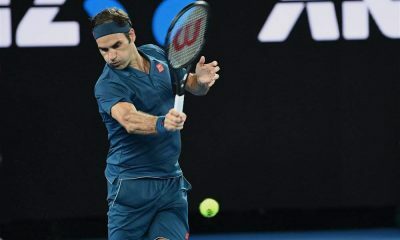 What if Roger Federer’s thrilling three sets clash against Novak Djokovic on Saturday was the last competitive match he played in Paris? The 37-year-old was knocked out in the semi-finals of the Paris Masters by the in-form Djokovic in what was one of the most memorable clashes between the two in their rivalry. 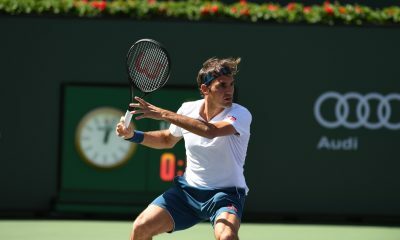 Federer saved all 12 break points he faced during the three hour encounter, but came up short in the decisive tiebreaker. Enabling Djokovic to set up a final showdown against Russia’s Karen Khachanov. 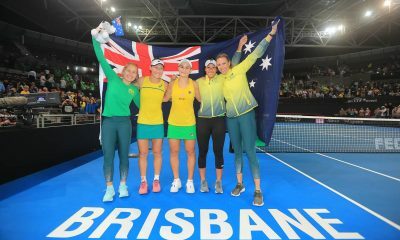 “Overall, it was a good tournament. I can look back and think it was definitely worth it to come to Paris. The welcome was great. I played some good tennis, so I can be happy.” Federer said afterwards. In recent years, it has become somewhat of a rarity to see the world No.3 play in France. This week was the first time he has played at the AccorHotels Arena since 2015. He missed the event last year due to a back injury. Although tournament director Guy Forget blasted the Swiss player for his withdrawal. 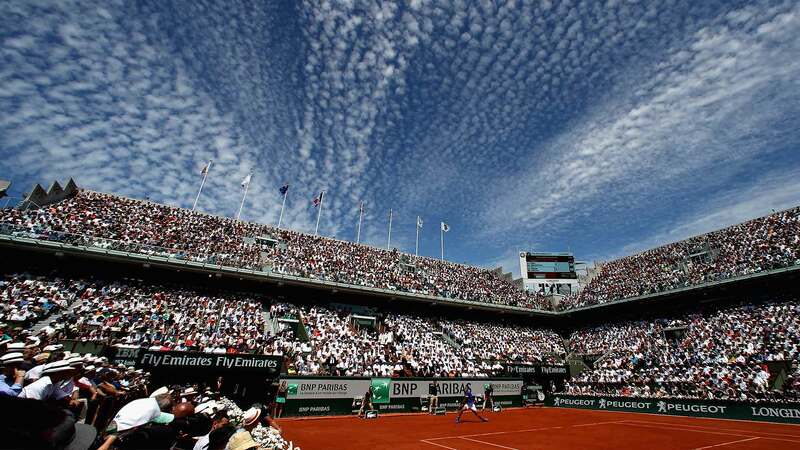 Federer hasn’t also played at Roland Garros, France’s biggest tennis event, since 2015. Federer remains on the fence about if he will return to Roland Garros next year. In recent years he has opted to skip the clay-court season in order to rest his body and recover. Back in 2016 he was forced to miss six months of the tour due to a knee injury. 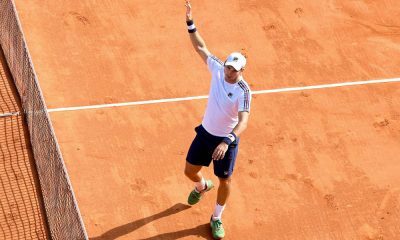 “No idea if it was the last match (in Paris),” he told reporters. 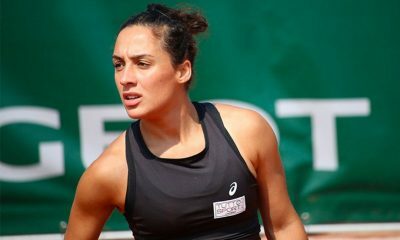 “As I said for the French Open, I will decide at the end of the year to see how it will have an impact on my physical training. “I can’t foresee too much in advance, but I don’t think it will be my last match here (in Paris).” Federer concluded. Federer will return to action at the ATP World Tour Finals, which will get underway on November 11th. He will be bidding to win the season-ending tournament for a record seventh time. 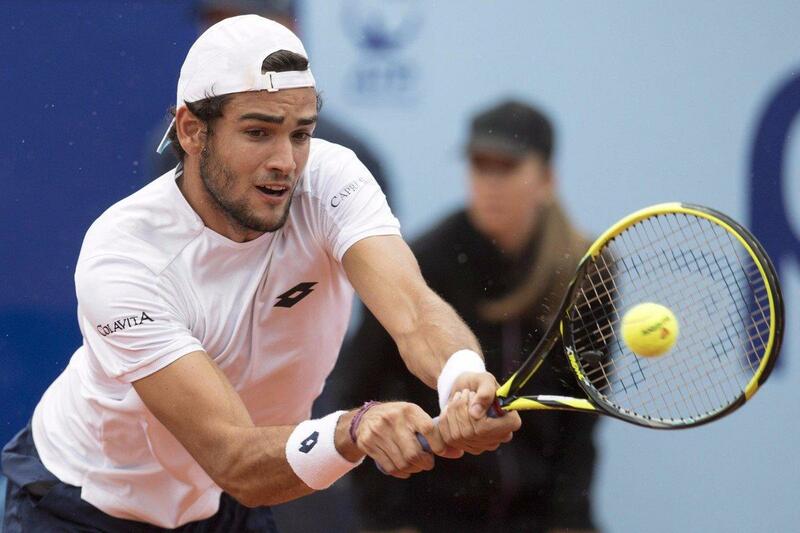 Italy’s Matteo Berrettini claimed his first win on clay this season with a 6-4 6-4 victory over Mikhail Kukushkin in the opening round of the Hungarian Open. The first set started with four breaks of serve in the first five games, as Berrettini built up a 4-1 lead. Kukushkin pulled back one of the three breaks in the sixth game for 2-4. Berrettini held his final two games at love to claim the first set 6-4. Berrettini went up a double break in the first and fifth games to open up a 5-1 lead. The Italian player wasted his first match point. Kukushkin got one break back and saved another match point to hold his service game to win his third consecutive game for 4-5, but Berrettini served out the win at love in the 10th game. Berrettini set up a second round against Aljaz Bedene, who came back from a double break down in the opening set to beat Bernard Tomic 7-6 (7-3) 6-3. Radu Albot from Moldova broke serve twice in each set to seal a 7-5 6-4 win over Sergiy Stakhovsky on his fourth match point after 1 hour and 41 minutes setting up a second round against Filip Krajnovic, who edged Andreas Seppi 6-2 6-7 (3-7) 7-5 after wasting four match points in the second set. Marco Cecchinato has pulled out of the Hungarian Open and will not defend the title he won last year. 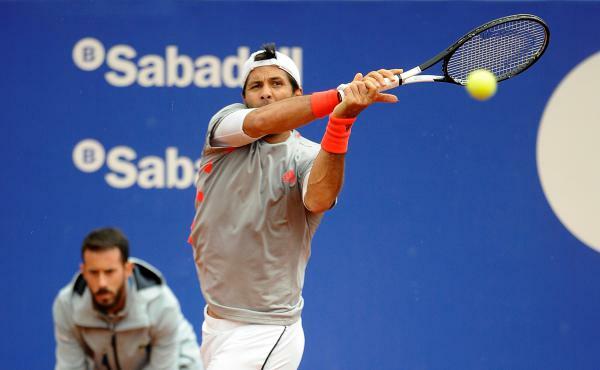 Fernando Verdasco beat Feliciano Lopez 6-4 6-3 in 81 minutes at the Barcelona Open Banc Sabadell. Former Barcelona champion Verdasco, who won this tournament in 2010, improved his win-loss record against his compatriot to 6-5 in their 11 head-to-head matches. Verdasco claimed his only break point at love to close out the first set 6-4. Lopez got his first break at deuce in the opening game of the second set. Verdasco won four consecutive breaks from 2-3 down with two breaks to wrap up the second set 6-3. Verdasco will face Grigor Dimitrov in the second round. Taylor Fritz won an all-American first round clash against giant Reilly Opelka 6-3 6-4 after just 55 minutes In the match between two US rising stars Fritz never faced a break point and converted one break point in each set from the four chances he created to cruise into the second round. Fritz earned the only break in the fifth game of the first set at 15 to take a 3-2 lead after Opelka made a volley error in the fifth game. Fritz hit three service winners in the ninth game to seal the opening set 6-3. Fritz went up a set and a break in the third game of the second set with a forehand winner. 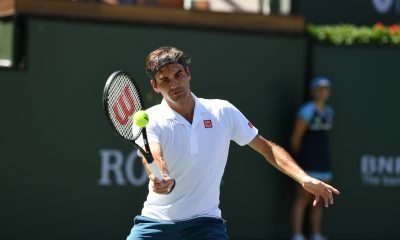 He hit a forehand winner to close out the match, as he was serving for the match at 5-4. Diego Schwartzman came back from one set down to beat Yoshihito Nishioka 4-6 6-4 6-2. Nishioka converted his fourth break point in the first game, but Schwartzman broke back in the fourth game to draw level to 2-2. After a trade of breaks in the sixth and seventh games Nishioka saved saved three break points to hold his serve in the eighth game. The Japanese player converted his fifth break point after a double fault from Schwartzman in the ninth game. Nishioka served out the first set at love. Both players traded breaks twice in the second set en route to drawing level to 4-4. Schwartzman broke serve in the 10th game to close out the second set 6-4. Schwartman reeled off four consecutive games from 2-2 with two breaks of serve to win the third set. Schwartman was playing his third match in Barcelona because he had to play the qualifying round. He forgot to sign before the tournament deadline. Argentina’s Leonardo Mayer battled past Marius Copil 6-3 6-7 (3-7) 7-5 after two hours and 36 minutes to score his ninth match win of the season. Mayer earned his first break to race out to a 3-0 lead and saved four break points at 3-1. He held his final two service games to close out the second set 6-3. Both players saved a total of four break points in the second set to hold their service games en route to the tie-break. Copil earned three mini-breaks to claim the tie-break 7-3 forcing the match to the third set. Mayer got the only break at love in the 12th game to seal the third set 7-5. German Jan-Lennard Struff cruised past Hugo Dellien 6-3 6-1 after just 51 minutes. Struff saved all three break points and dropped 14 points in 8 service games. He broke once in the fourth game of the first set and three times in a row to seal the win. Jaume Munar came back from one set down to beat Portuguese qualifier Pedro Souza 2-6 6-4 6-0 setting up a second round match against US Frances Tiafoe. Sousa got four of the six breaks to win the first set 6-4. The second set went on serve until the 10th game, when Munar got his first break on his third chance to close out the second set 6-4. The Spaniard broke three times to take a bagel win in the third set. Mackenzie McDonald saw off Japan’s Taro Daniel 6-2 6-2 in just 57 minutes. Mackenzie converted four of hi sten break points and dropped nine points in eight service games. He won the final four games of the first set from 2-2 with two breaks to close out the first set 6-2. He got two more breaks in the third and eighth games to wrap up the match with with a forehand crosscourt winner. Hungary’s Marton Fucsovics cruised past Denis Kudla 6-4 6-1. The Hungarian player saved two break points he faced and converted four of his nine break points. 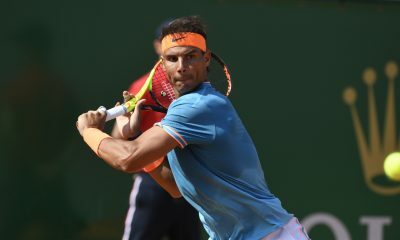 Rafael Nadal is targeting a record 12th title at the Barcelona Open Banc Sabadell, which will be played on the clay court of the Real Club Tenis Barcelona. 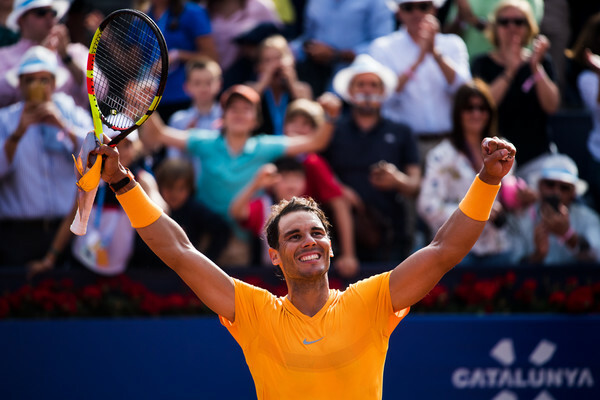 Nadal has lifted the Barcelona title eleven times on the tennis court which bears his name. The Spanish legend is aiming at writing history in Barcelona. If he wins this tournament for the 12th time, he would equal Martina Navratilova, who won the Chicago tournament twelve times setting an absolute record of victories of a male or female player in the same tournament. Nadal will be looking to avenge his semifinal defeat against Fabio Fognini in Monte-Carlo. Nadal won the past two editions winning the past two finals against Dominic Thiem in 2017 and Stefanos Tsitsipas in 2018. Nadal, who opens this year’s tournament against either Marius Copil or Leonardo Mayer, will face a very tough path to the final, as he could meet David Ferrer in the second round, Lucas Pouille in the third round, Tsitsipas in the quarter final and 2019 Indian Wells champion Thiem in the semifinal. The Austrian player has been the only player, who was able to beat Nadal twice on clay in Rome 2017 and Madrid 2018. David Ferrer, who who will play in Barcelona for the last time in his career, will meet Misha Zverev in the opening round. The winner of this match could meet Lucas Pouille in the second round. Ferrer, who ends his professional career at the Madrid Mutua Open, has played 14 times in Barcelona in his career and reached the final four times. Thiem has been drawn in the same quarter of draw with Karen Khachanov, Frances Tiafoe and Pablo Carreno Busta. 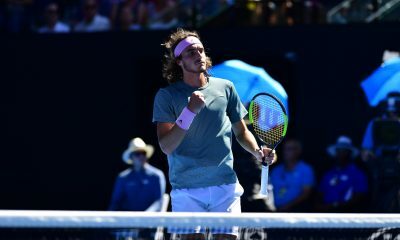 Tsitsipas, who reached the semifinal at the Australian Open and the final in Dubai, leads an impressive list of Next Gen players, which also features this year’s Miami Open semifinalists Denis Shapovalov and Felix Auger Aliassime, Australian Open quarter finalist Frances Tiafoe and Houston finalist Casper Ruud. 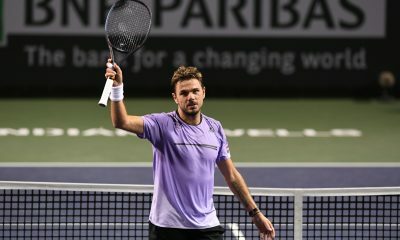 Last year’s Nitto ATP Finals Alexander Zverev, the latest addition to the star-studded field, could face this year’s Monte-Carlo semifinalist Danil Medvedev in the quarter final. Nishikori, who won the Barcelona twice in a row in 2014 and 2015, will start his campaign against either Taylor Fritz or Reilly Opelka. 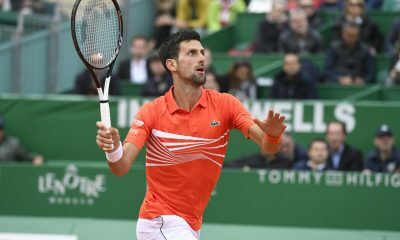 The Japanese player could face a quarter final against Italian star Fabio Fognini, who became the first Italian player in history to win a Masters 1000 title in Monte-Carlo. Nishikori’s quarter also features Canadian Nex Gen stars Denis Shapovalov and Felix Auger Aliassime, who is seeded for the first time in an ATP event for the first time in his career. One of the most interesting matches in the bottom half of the draw is the Spanish clash between 2010 Barcelona champion Fernando Verdasco and his Spanish fellow veteran Feliciano Lopez. They tied 5-5 in their past 11 head-to-head matches and will meet for the 11th time in their career. Lopez will play in Barcelona for the 19th time in his career.